Vivianne LaRiviere lives in St. Lazare where she pursues artistic endeavours such as music composition and performance, drum making, workshops in spiritual guidance and her painting. She moved to the Hudson area in 2008 and operated The Songroom studio in Hudson before moving it exclusively online. 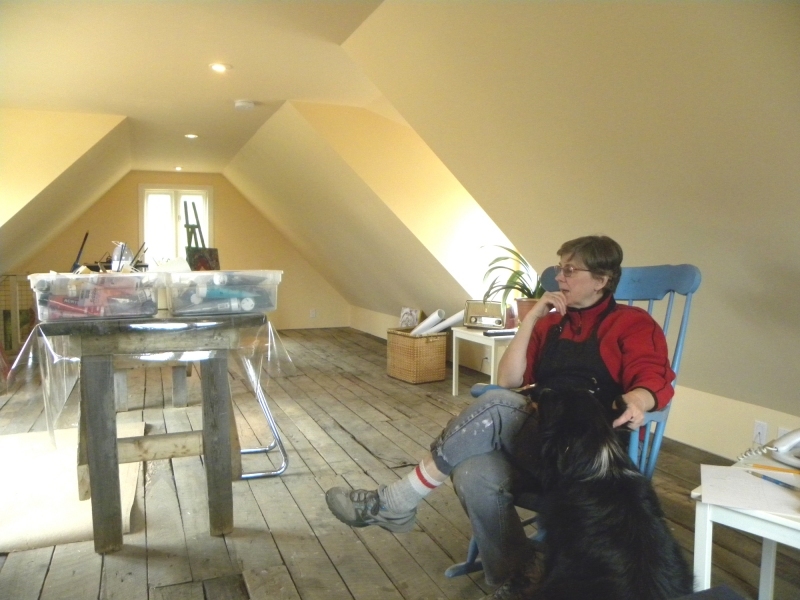 She has created a new studio space in one of the buildings on the Cote St. Charles property she rents. Vivianne LaRiviere was our featured artist in the 2013 winter issue, and we wrote how she was renovating a space in an outbuilding on the property she rents to create a flexible studio for her own use and available to the community at large. She wanted to create a small, intimate space for workshops on artistic themes as well as those emphasizing well-being and spirituality. The renovations are now complete and Vivianne has been using her space for her painting and has started planning for additional events. Vivianne says she would love to see a wide variety of community activities make use of the new facility. She sees artists coming to paint in a tranquil environment overlooking the fields and scenery of the Cote St. Charles landscape. 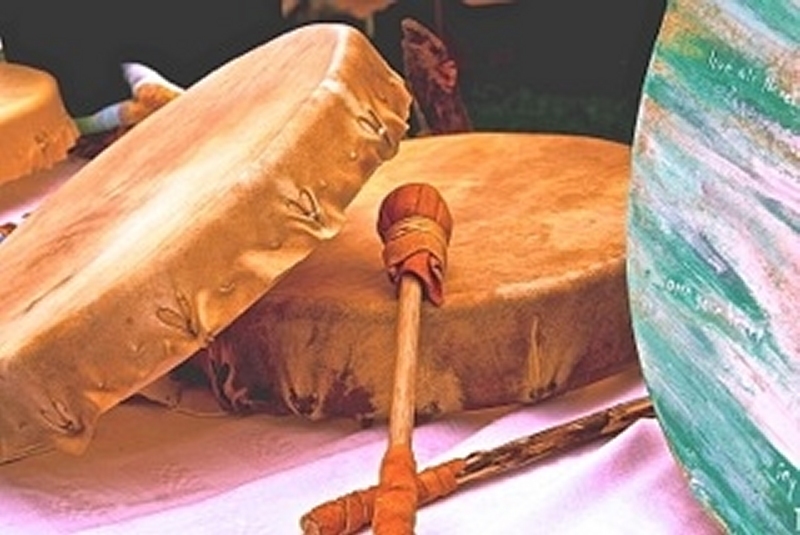 She will hold drum making workshops and host groups exploring spiritual themes. For participants coming from out of town, she offers accommodation and flexibility in planning for activities. While she has some ideas regarding the basic orientation of the studio’s activities, Vivianne is willing to explore different possibilities and work on developing a concept that meets the needs of the community groups that show an interest. Vivianne teaches drum making in her drum workshops. Ideally the new studio will promote additional artistic and spiritual initiatives in our community. It can be linked to the online Songroom website Vivianne operates. Vivianne says that the growth of the Songroom has many facets. “There is the workshop/development/classes facet,” she says, and talks about self and spiritual development through the convergence of art and spirituality. More concretely, Vivianne has started a community garden behind her house and is inviting people to help grow crops for the benefit of the food bank. A labyrinth is also in the works. Vivianne is focused on getting the whole project off the ground this summer and then seeing what activities she can arrange to carry on into the fall and winter.